As well as the longer courses that I teach at the Granary Studio, I am now offering some short, dayschools. In response to requests from my followers, I have titled the series Dayschool Fridays., which just means that they all occur on Fridays, you can book onto just one, or you can book them all, no problem! If you would like to see something else offered, please do let me know, then I can either teach it, or get a tutor who can. Hope there is something you can find to do in this list. Dayschool Fridays with Susan in 2019, 10.00 – 16.00.
and so, now my mind turns to the new year … what will 2018 bring …. I am running a drawing course at Eastleigh college which finishes at the end of this term and working a little with theyoung students too, but I am cuting back on hours there … don’t forget the HNC Contemporary Art Practice, I will teach on that if it runs.. we still have the names from last year so hopefully it will … if not, then my time at Eastleigh College may draw to a close after 15 years! 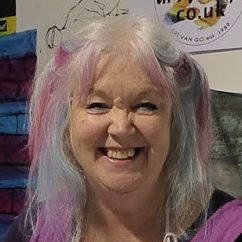 I hope to see you there or at the shows, I will be at ICHF shows in Glasgow and Birmingham, back to back in March.. and at Festival of Quilts in Birmingham in August, Hampshire Open Studios in Granary Studios in August too, then finally the Autumn Knitting and Stitching shows, probably at all three . Hi everyone, I am part of the tutor team for the HNC Contemporary Art Practice which is taught at the brand new Art school in Eastleigh College … it will be starting at the end of September and you would study for two years part time for this qualification… it is a brod based course which includes painting and drawing, textiles, sculpture, photography, film and animation and printmaking. At the beginning of the course for the first term, you would have a go at everything with workshops in all the studios .. from then onwards you work independently for your own exhibitions using which ever medium you prefer, we have tutors in all specialities to help you… I teach printmaking and textiles predominantly …. The hours are from 4.15 – 9.00 on mondays and wednesdays, and this course attracts an HE loan, so, unless you earn around £30,000 a year, you are not required to repay it. I am also part of a European Exhibition called ‘Perception’ it is the first venue for this travelling show, presented by ArtQuiltFusion. you will find us in TG1 right at the front beyond the winning quilts … do have a look, we represent eight different European countries and our styles are very different from each other … really interesting! Hope to see you all somewhere next week! enjoy! phew.. just back from two ICHF shows, only two weeks apart firstly ‘The Scottish Quilting Show’at the SECC in Glasgow and then the ‘Fashion and Embroidery Show’ at the NEC in Birmingham … I was so busy on the aproach to these shows I didnt get to post any information about them but do put the dates in your diaries for next year …..
thats it, my whole dynasty so far….